The Adventure Game Engine is a flexible rules system that’s allowed Green Ronin to dip their toes into a variety of settings. We’ve seen it work its stunt-based magic in classic Fantasy, and in the Fade-touched world of Dragon Age. Now adventure comes to the Modern AGE with the newest book from Green Ronin. Come join us as we take a look inside. The stunt system encourages narrative action and makes the instances when you roll exciting. 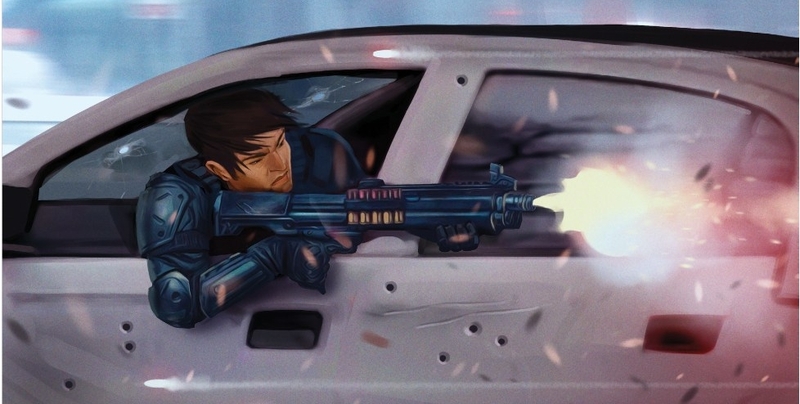 Stunts are a resource for characters to manipulate the world around them, creating effects that can range from knocking an enemy prone, to reloading a weapon instantaneously. These are added effects that you earn when you do things in the world around you. The more you do, the cooler you are, essentially. And with the Modern AGE it’s no different–the developers clearly knew what players would be expecting to try when they wrote the game, so you’ll find perhaps the widest variety yet of individual stunts and categories of stunts. But that’s just one side of the Modern AGE’s flexibility. This is the game that’s there to let you tell the kind of Modern story you want to tell–which is a hard thing to do. The Modern Era is in many ways the grittiest one, and not necessarily because it’s dark, but because it’s the one that’s the most real. Because it’s, well, reality. Which means that you’ll have a harder time abstracting things–it’s easy to sort of step back from a swordfight, most people have never been in one, so abstracting it to a roll of the dice is easy. But for some reason, that same mechanic falls flat when it’s working for a gun. We can imagine trying to duck out of the way, needing cover. And we have this perception that if you get hit, armor doesn’t matter and you’re dead. And that’s just one example. We know the world. We know the kinds of stories in it–or so we think. But that’s what I love about the Modern Age, it isn’t just the era of Spy/Espionage or action cinema (though those are both valid). There’s a lot you can do in the Modern AGE–they have three different flavors of action, Gritty, Pulpy, and Cinematic each of which has its own tools for getting your game going. Use Modern AGE in the campaign setting of your choice, including the World of Lazarus,based on Greg Rucka’s creator-owned comic series of near-future feudalism, or use it to run adventures in the world you create. 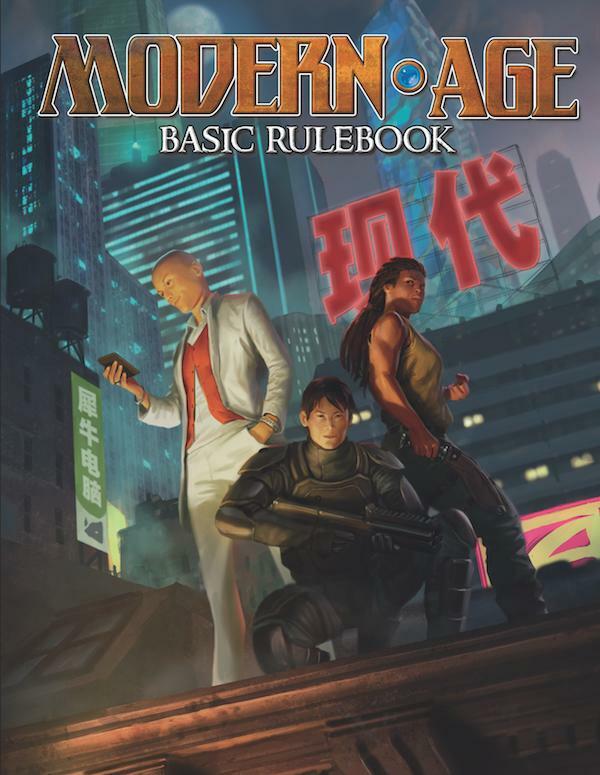 Grab three six-sided dice, and you’re ready to play in the Modern AGE!